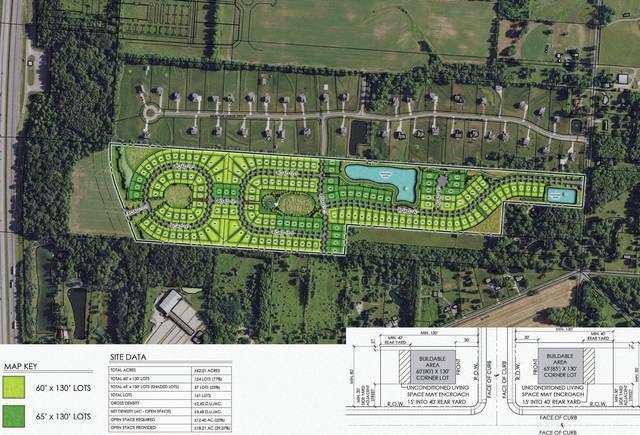 Pictured is an illustrative plan for Sunbury Farms. They say that the third time is a charm, and it’s a truism for Northgate Construction Services’ Sunbury Farms proposal on its third visit in front of members of the Village of Sunbury Planning & Zoning Commission. On Monday evening (Nov. 26), Northgate Construction Services resubmitted its request to rezone 61.9 acres of a 75-acre tract on the west side of South Galena Road from Agricultural to Planned Residential Development. Zoning commission members approved the zoning change request with the usual legal and engineering review contingencies and a 150-foot easement to allow a reconfigured Wilson Road extension at the west side of the proposed 161-home development. If the zoning change is approved by members of Sunbury Village Council, the future Sunbury Farms development would be bounded on the west by I-71 and on the north by the Estates at Cheshire. During its three iterations Sunbury Farms grew from the originally proposed 127 homes, to a second submittal of 153 homes, to the present 161-home configuration planned in four phases. The present configuration has 124 homes on 60-foot wide by 130-foot deep lots, and 37 homes on 65-foot by 130-foot lots. The plan shows a gross density of 2.6 housing units per acre – code limits gross density at three units per acre; net density is 3.69 units per acre. One-half of the development’s 18.27 acres of common open space is retention pond (allowable by code), 29.5 percent of the development’s gross acreage, well above the 20-percent required by code. Six divergences requested by the developer are: 1) front setback reductions in line with similar setback adjustments recently approved by the village; 2) a 15-foot encroachment into the 40-foot rear setback to allow for non-conditioned rooms, patios, and decks; 3) a reduction in side yard setbacks for homes with a three-car garage option; 4) an increase in allowable lot coverage for all buildings and per building for both two-story and ranch homes – consistent with Price Ponds; 5) allow non-right angle lot lines for five cul-de-sac lots; and 6) allow street trees to be placed in the tree lawn right-of-way. Columbus attorney Glenn Dugger, speaking for Northgate Construction Services, said one major adjustment of the Sunbury Farms re-submittal was the result of Delaware County asking the developer’s assistance in moving the north-south Wilson Road extension to the west because of a roadway alignment issue. That one adjustment resulted in the additional housing units. Dugger also noted that the series of requested divergences were introduced to protect property values. Village engineer Dave Parkinson, CT Consultants, said the changes in acreage, number of lots, and tree configurations are all the result of the change in straightening the Wilson Road extension right-of-way, needed to protect future land uses to the west of the development and an equestrian business to the south. Parkinson, citing the development’s traffic study, also noted the need for a north bound center turn lane on South Galena Road that may be required on opening day. “The county engineer may accept cash or require the improvement up front,” Parkinson said. Commission members approved rezoning the property from Agricultural to Planned Residential Development with the six divergences and a 150-foot right-of-way easement for the future Wilson Road extension. The easement request would be timed to become effective following village council’s approval of the rezoning. Rezoning approval was contingent on engineering and legal review and language outlining the 150-foot right-of-way easement. Northgate Construction Services principal Pat Shivley said he was excited to get the four-phase project moving forward. The zoning change request now travels to Sunbury Village Council where it will have a public hearing, three readings, and an up or down vote. If approved by council, the zoning change would become effective following a 30-day statutory referendum-waiting period.